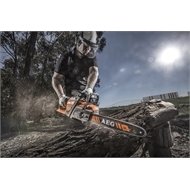 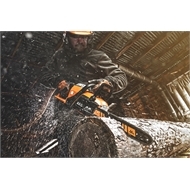 The AEG Brushless Chainsaw has been specifically designed for everyday use in the toughest Australian conditions. 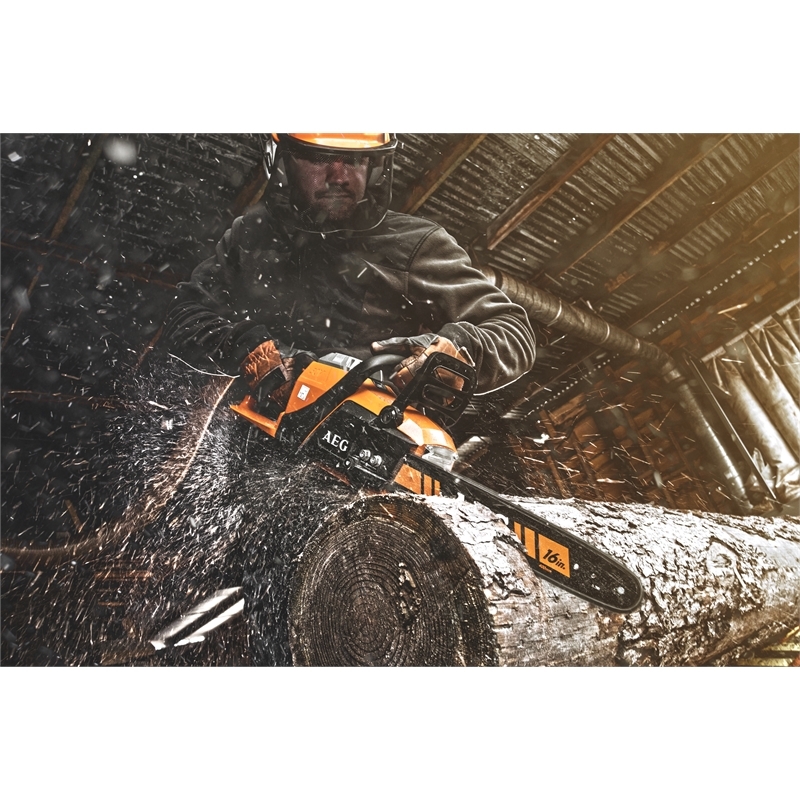 Boasting impressive performance figures of 21m/s Chain Speed teamed with a 16" Bar this unit is a true trade quality tool. Backed by the AEG 6 year tool warranty* (Requires registration)* this tool offers a range of benefits including reduced vibration, impressive run time, reduced noise and most importantly no mixing fuel or 2 stroke oils. 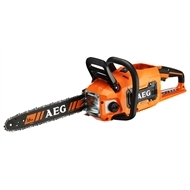 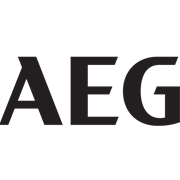 Come down and check out the entire range of AEG Brushless outdoor products today.